142 The long list of Star Trek Fan Films listed as existing which I can't find, link to, or offer a way to see have been moved to http://startrekreviewed.blogspot.com/2009/06/213.html. Ep. 2., "Strange Behavior," https://www.youtube.com/watch?v=aiZVrw_QC8E(2:16). English subtitles were printed below the film as of 7/4/2017 but did not appear as the film played. From the producer, "This is a little video project using only my android tablet and free apps. 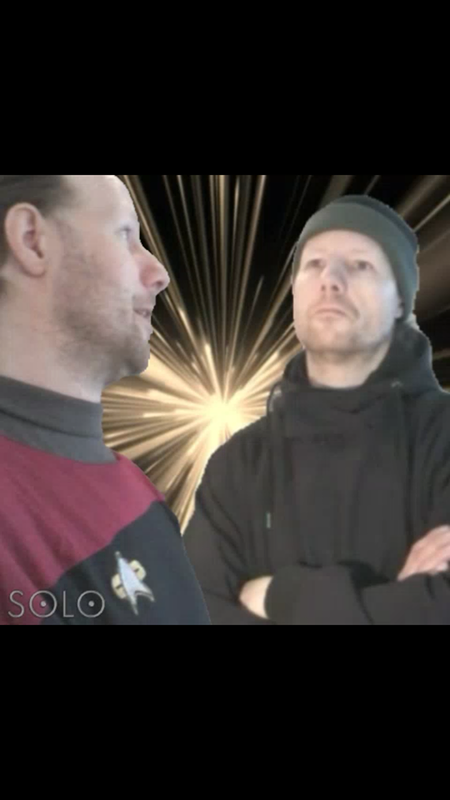 For the first 2 episodes I used an app called SOLO to make some greenscreen-like clips, but it doesn't work anymore. I had to find a new one and settled on KINEMASTER. where you have the possibility to work with green, blue and other colored screens...and I had a blue bed-sheet!" I'm John Whiting, and I played Dr. Henglaar on Hidden Frontier. I made the comment about having worked on Mr. Genovese's "Red Shirt Insurance" fan film and not receiving a copy of it. I don't know who sent you the obscene comments claiming that you were attacking the film, but I've got a pretty good guess. If it's the same person (and it very much sounds like it), he also frequently attacks Hidden Frontier and has been stalking us for nearly fifteen years now.